Sooner or later the medical coder and biller will have to deal with a third-party administrator while filing a claim. A third-party administrator (TPA) is an entity hired to handle the administration of another company’s insurance plan. The TPA is usually responsible for collecting premiums and issuing reimbursements, which includes paying medical claims. Companies who use TPAs are required to notify plan participants in writing what the responsibilities of the TPA are. Typically, companies that use TPAs self-insure, which means that they function as insurance companies themselves. A mobile application platform is a type of software that allows a business to rapidly build, test and perhaps deploy mobile apps for smartphone or tablets. A business can either build its own mobile application development platform or buy one of the many third-party products available on the market. Considering making a healthcare benefits administration tech investment in 2015? As a TPA, you need to make sure your technology supports your organization’s growth strategy while aligning with customer needs.Today, that means staying up-to-speed with the consumer-driven healthcare market. Employers today are purchasing user-friendly solutions to help them contain costs, promote consumerism, and simplify healthcare benefits administration, all while remaining compliant with health care reform provisions. Some need health insurance exchange integration and others invest heavily in Health. Many are looking for ways to enhance their account-based consumer-driven health plan arrangements. Innovations in technology are making it easier for companies to meet all of these goals, and more. Your current and future clients will be looking for more and more technical capabilities from their partners to help them handle electronic data (for ACA mandates as well as business intelligence) and provide their employees with easy-to-use tools for managing their healthcare benefits—particularly their healthcare accounts (e.g. HSAs, HRAs, FSAs) and wellness programs. Plus, companies taking a defined contribution approach to providing healthcare benefits need tools to help them administer their program and give employees an intuitive experience. Saves in operating costs. The automation afforded by technology makes your business more efficient—and your clients’, too. Enables you to expand your product offering—and boost profitability.A flexible technology platform readies you to add new products and services meeting a range of client needs. On top of that, you’ll generate additional fee-based income. Gives you a competitive advantage.Using technology as a driving force allows your organization to be proactive, not reactive, in going after new opportunities—that could mean more clients, bigger clients, or both. 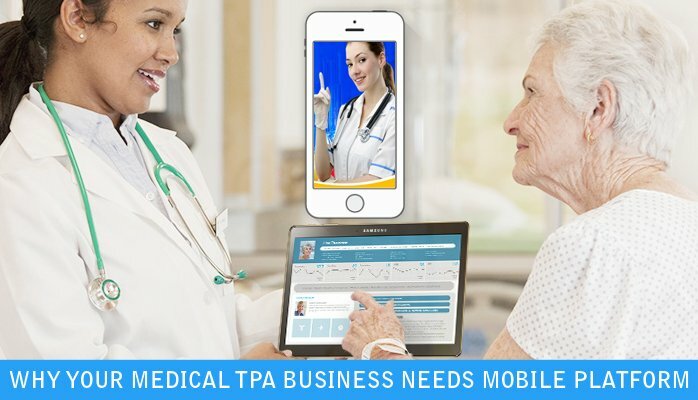 We have been working on since our inception on Medical TPA integrated platform which delivers services via web and mobile applications. Some of our clients have deployed advanced utilities on top of their Core Medical TPA platform like CRM tools etc. Drop an email in info@oditeksolutions.com to enquire how we can build / further improve your TPA business.